The future of health care lies in collaboration. LifeStyle Medical Center is committed to partnering with local providers to help improve the health of your patient populations. Our goal is to supplement your care with additional services that you may not have the time and resources to offer in-office. 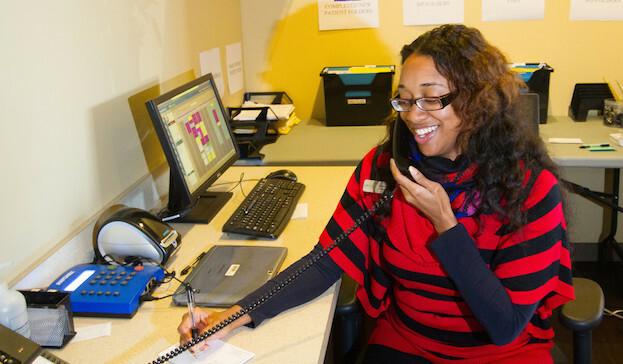 Our staff works closely with primary care providers to ensure optimal outcomes for patients. Our multi-disciplinary team of doctors, registered dietitians, nurse practitioners, and PhD-level outcomes researchers create custom LifeStyle Plans that are tailored to each patient’s unique needs. Our individual patient consults focus on nutrition, lifestyle, education and exercise–our comprehensive, in-house Clinical Outcomes Division will provide your patients with measurable results. As your healthcare partner, we will provide regular treatment updates and reports on your patients’ progress, including improvements in A1c levels, lipids, and blood pressure metrics. One of the reasons medical providers have chosen to partner with LifeStyle Medical Center is our ability to offer patients weekly lifestyle intervention counseling sessions, a critical component for motivation and accountability. LifeStyle Medical Center is also one of the first clinics in the area to provide in-network insurance benefits for many newly covered preventive care services. At this time, LifeStyle Medical Center is in-network with Blue Cross Blue Shield of North Carolina, Blue Value, Aetna, Cigna and Coventry (excluding Duke plans). Due to healthcare reform, non-grandfathered BCBS plans already include 100% coverage for nutritional counseling services for in-network providers. We hope to work with you in helping your patients take advantage of this healthcare benefit. Referring to LifeStyle Medical Center is easy. For Blue Cross Blue Shield patients, no referral is needed. Simply call our office at 919-551-3473 to refer a patient, and we will take care of the rest. We also have script referral forms available for your convenience. Please contact our practice liaison, Chelsea Blankenbaker, at 919-354-7077 or chelsea@lifestylemedicalcenters.com to have some delivered to your office.